Be the change you want to see in the world, and in your community. We have volunteer opportunities on our construction sites, with our home preservation projects, in our office, and in our ReStore. In your community and around the world, Habitat for Humanity brings people together to build homes, communities, and hope. Habitat for Humanity Riverside volunteers come from all walks of life and are distinguished by their devotion and passion for serving the community. You can be assured, that feeling you get by “giving back to society” will last a lifetime. 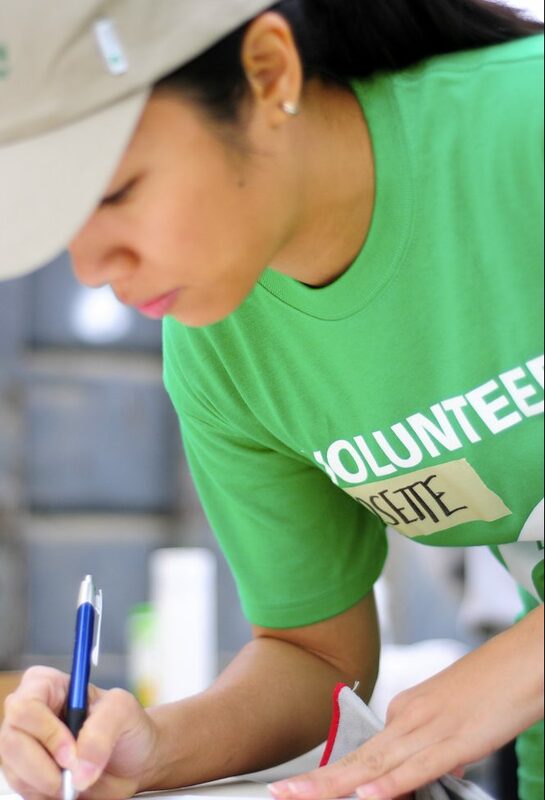 To begin your journey of making an impact in your community and becoming a volunteer, please register for one of our many volunteer opportunities using our Habitat Volunteer Database. Once you sign up, you’ll be able to create a personalized profile that will let us know any interests, special talents, or skills you may have that align with our current and future projects. Once registered, you’ll have access to the project calendar and be able to sign-up for our various volunteer opportunities. We’ll also be added to our email list so that we will be able to contact you whenever we have specific volunteer opportunities available. Partnering with Habitat is an excellent way to promote your corporate social responsibility goals while making a last impact in the communities you serve. 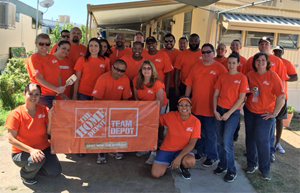 We offer group volunteer days reserved solely for your team, publicity photos, and community recognition. • A fun, easy, and engaging team building activity. • Opportunities to learn about your employees on a personal level. • A deeper connection to the area around you. • A shared experience that you can take back to the office. I will ensure all volunteers will be registered prior to volunteering. Do you have any additional questions about volunteering with Habitat for Humanity Riverside? Is there anything you want us to know about your team before we schedule your volunteer date? Throughout the year we have various needs for volunteers both inside and outside the office. Building homes is our main focus but there are other volunteer opportunities available as well. These needs can include bulk mailings, office help, serving lunches at a build site, fund-raising events and staffing information tables at various functions. You can indicate your interest for these opportunities on your Volunteer Up profile. Still have questions? Contact Habitat Riverside. Your financial support allows Habitat homeowners to achieve the strength, stability, and independence they need to build a better life for themselves and for their families.